Bravo, Andrew Gower! 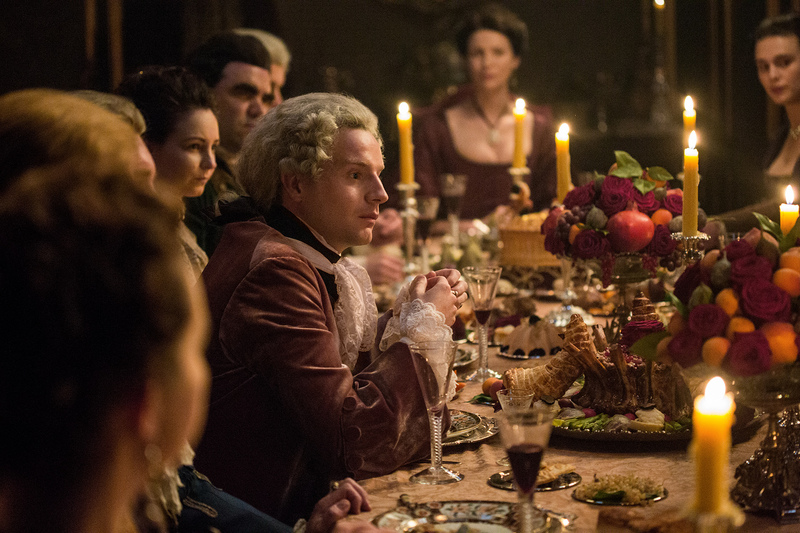 With only one episode left of season two, one of the most memorable characters for this season has been Bonnie Prince Charlie played by Andrew Gower. He is indeed the guy who made me laugh every time he says, “Mark me,” and made me disgusted about how out of touch the Prince is with his men and his land and cause. We saw what Andrew was going to look like as the Prince before we saw his portrayal on screen. I don’t think he disappointed anyone, except maybe the hangovers endured after playing the “Mark me” drinking game. Yahoo has really great interview with Andrew about his role. Excerpts are below, but please read the entire interview because it is too good to miss. There is a little tease for the season finale below. This entry was posted in Andrew Gower, Interviews and tagged Andrew Gower, Interviews by Sarah Ksiazek. Bookmark the permalink.